various professional videos with original artwork to engaging audiences. Animiz animated video creator provides everyone with opportunity to create their own stylish videos for free. You don't have to ask for any design company or pay for anyone for your video creation. You can be a designer. In the Animiz, there are many options given to start your work: New Empty Project, Open Project (Open the project created before), New Project Form PPT and Online Template. No code and no design experiences request, you can quickly create your own animated videos. Everything is under your control with Animiz application. You can easily design your own favorite style by yourself. There are many different powerful tools that enable you to edit and customize animated and interactive online videos on any topic. Well, you are able to add and set shapes, callouts and symbols, insert dynamic roles SWF material, embed built-in chart and customize formula. Even you can create amazing animation effects for any objects in the scene. It is pretty convenient for your designing operation. Don't worry you will go wrong with your video after the publishing. 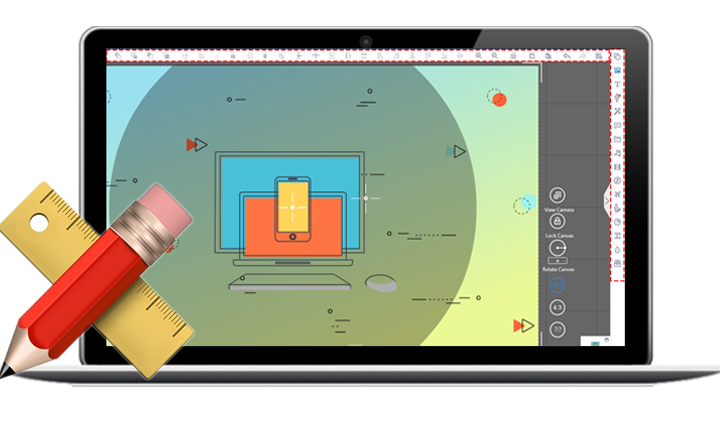 Animiz software makes you easy to check out all your work with its amazing preview features. That means you have the ability to preview your created video work before publishing, and once you find the problem, you can quickly solve it to improve your video. It is a perfect way to make sure that you can publish and share a high-quality and pleasing video. You are free to publish your videos online and save them on the Cloud. The Animiz gives you an intelligent platform to store unlimited digital videos, and make it possible to deliver secure, high-performing user experience to any device anywhere. With Animiz leading Cloud platform, your animated video will be easy to reach more audiences globally and locally. And it provides your customers with unmatched reliability and security. Begin an animated video with a creation option, DIY a animation at home. Use a variety of designing tools to customize your video content. Create stunning animation effects for objects in the scene. Preview you video before publishing to make sure that you can get a high quality work. 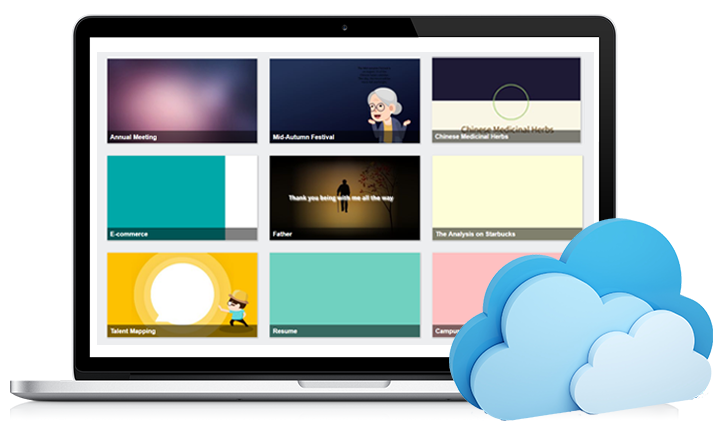 publish your videos online, save and share them on the Cloud.